Wooden Greenhouses have a certain character to them that oozes traditional style. A timber greenhouse or victorian glasshouse creates an elegant focal point or feature in your garden, and blends into your garden better than any metal greenhouse. All Wooden Greenhouse and Painted Wooden Greenhouses prices INCLUDE Installation! Want to buy from real people who understand these greenhouses inside and out? AND, can answer all of the questions about wooden greenhouses, building your greenhouse base or planning concerns, WITHOUT any silly hard sell? 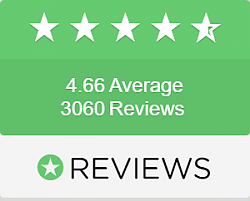 Just call the chaps at Greenhouse Stores, the best wooden greenhouse supplier in the UK, for honest, expert advice. However daunting buying your new traditional painted wooden greenhouse may seem, trust us, it’s easy and any hassle or worry can be easily sorted by letting us guide you through the process. We install all of our wooden greenhouses for free, all over the UK. You only have to pay a deposit of 20% and not another penny until after your new greenhouse is delivered and installed in your garden! Browse our selection of the best wooden greenhouses available today. If you have any questions just pick up the phone and call us for free on 0800 098 8877. The NEW Swallow Robin 5ft Wide Greenhouse is a top quality timber greenhouse. Like all Swallow wooden Greenhouses the Robin is a feat of British craftsmanship, designed and manufactured with care and precision from ThermoWood® Timber. The Swallow Kingfisher 6ft Wide Greenhouse is a top quality timber greenhouse. Like all Swallow wooden Greenhouses the Kingfisher is a feat of British craftsmanship, designed and manufactured with care and precision from ThermoWood® Timber. The Swallow Raven 8ft Wide Greenhouse is a top quality and highly practical greenhouse with double doors and plenty of space for growing a variety of different plants and vegetables. NEW - The Swallow Kingfisher Greenhouse with Shed Combination combines the compact size of a 6ft wide greenhouse with the practicality of a shed with a choice of 4ft, 6ft, 8ft or 10ft shed extensions. NEW - The Swallow Raven Greenhouse with Shed Combination combines the generous growing area of a 8ft wide greenhouse with the practicality of a shed with a choice of 4ft, 6ft, 8ft or 10ft shed extensions. The Swallow Falcon 13ft Wide Greenhouse is a serious greenhouse and the largest in the range. This large greenhouse is very popular with semi commercial growers and market gardeners alike as it's width allows growing down the middle as well as both sides. 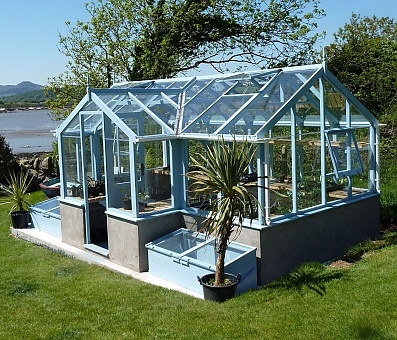 The Swallow Eagle Greenhouse is based on traditional Victorian glasshouse design. It comes complete with automatic roof vents, side windows, staging and shelving. The Cygnet is the smallest of the T-Shaped design greenhouses from Swallow. This is a very popular model as it's a real "feature greenhouse" that will look amazing as well as perform a function. There's also a dwarf wall version available if you'd prefer. The Swallow Mallard 8ft wide T-Shaped wooden greenhouse is available in lengths from 11ft up to 32ft. The design of the Mallard makes this greenhouse a beautiful garden feature as well as a practical growing space with plenty of room for plants and tools. The Swallow Swan 8ft wide T-Shaped wooden greenhouse with 8ft wide porch entrance is available in lengths from 13ft up to 40ft. The Swan is the largest T-Shaped greenhouse made by Swallow and will make a spectacular feature in any garden. The Swallow Finch 4ft Wide Lean to Greenhouse is a superb small wooden lean to greenhouse perfect for cottages and even outbuildings. Because it only comes out just over 4ft from your wall it's great for smaller gardens and yards. As usual there's free delivery and installation included. The Swallow Dove 6ft Wide Lean to Greenhouse is our most popular model that’s ideal for creating a lovely warm growing environment connected to your house. All Swallow lean to's are delivered and installed for free nationwide. The Swallow Jay is 6ft 8" wide and is available in 8 different lengths. Potting sheds are generally limited in the amount of light they let in. Swallow have addressed this issue by making half of the roof glass and the glass on the front wraps around the sides letting in plenty of light for your seedlings and plants. The Swallow Rook 8ft wide Potting Shed's innovative design enables growing space to be maximised whilst giving plenty of all important storage space. The Rook has a 10 Year Warranty and free installation. The Swallow Luxury Shed is now available only at Greenhouse Stores. Built to the same exacting standards as the Swallow greenhouses, you can rest assured that you are buying the best possible wooden shed on the market! !